Dental health is a key to whole-body health. That’s why the team at Vacendak Dentistry takes the whole person into account when caring for our patients’ teeth. 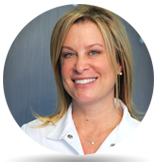 Whether you come in for a routine teeth cleaning, cosmetic veneers, root canal therapy or a wisdom tooth extraction, the mother-son team of Dentists Sheila and Daniel Vacendak D.D.S. are committed to giving you undivided attention. We value our relationship with you, the patient above all else and our dental office is designed with your needs in mind. From the moment you walk into the Vacendak Dentistry Chesapeake office, you can expect to feel right at home. Scared of the going to the dentist? You’re not alone. We like to say that patients who fear the dentist are our favorite kind because we will calm their concerns. Vacendak Dentistry’s spacious exam rooms are equipped with large television screens and heated massaging dental chairs so patients can sit back, relax, and trust that their smiles are in exceedingly capable hands. 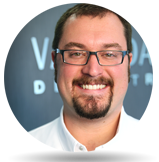 Doctors Daniel and Sheila Vacendak and the staff at Vacendak Dentistry are passionate about caring for you and your teeth. Our credentials and commitment to staying up-to-date on the newest developments in dentistry make us the perfect choice for you and your family.